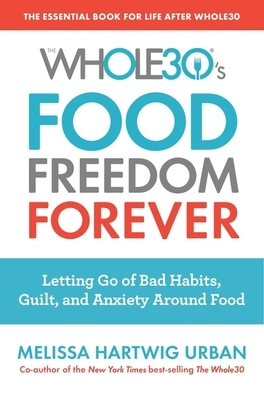 In her detailed 3-part plan, Melissa shows you how to discover food freedom for yourself, no matter how out of control you feel; walk a self-directed path that keeps you in control for months on end; gracefully recover when you slip back into old habits; and create the kind of food freedom that stays with you for the rest of your life. The Whole30's Food Freedom Forever walks you through the Whole30 program and teaches you how customize your reset for improving and stabilizing energy, getting a handle on stubborn sugar cravings, reducing systemic inflammation, and fine-tuning your vegan diet. You’ll learn how to spot your specific triggers before they’re pulled and new strategies for dealing with temptation, strengthening your new healthy habits, and boosting your willpower. Melissa also shares advice for retaining your food freedom during holidays, vacations, periods of life stress, social pressure, and skepticism from friends and family. By the last page, you’ll have a detailed plan for creating the perfect diet for you, finding your own healthy balance, and maintaining the kind of control that brings you real food freedom every day.